On this page you can see some videos my wife and I shot about our cars, our friends and their cars and events we attended. 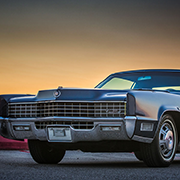 Lots of Cadillacs and other nice stuff can be seen in these films. Have fun - they are worth watching. I have uploaded some videos to Youtube and due to copyright reasons some videos are not available in certain countries like Germany. Other videos are blocked on mobile devices by Youtube as well and can only be played on the Youtube website. Sorry for that - I am working on a solution. 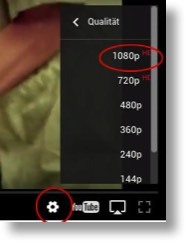 Make sure to watch the videos in HD quality - You will have to set it manually for every video by clicking on the quality setting button! My 1958 Cadillac Eldorado Seville. A short film we shot. The first Cadillac BIG Meet 2004 - A full length film we produced.